A Jigsaw of Fire and Stars by Yaba Badoe (eProof) - A powerful, haunting, contemporary debut that steps seamlessly from the horrors of people-trafficking to the magic of African folklore, by an award-winning Ghanaian-British filmmaker. Fourteen years on she's a member of Mama Rose's unique and dazzling circus. But, from their watery grave, the unquiet dead are calling Sante to avenge them. A bamboo flute. A golden bangle. A ripening mango which must not fall... if Sante is to tell their story and her own. Rich in the rhythms and colours of Africa and glittering circus days. Unflinching in its dark revelations about life. Yaba Badoe's novel is beautiful and cruel and will linger long in the memory. From NetGalley. Trigger Warning: Derogatory language used for little people. 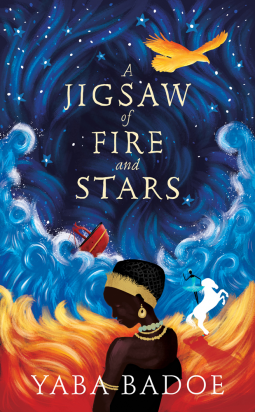 When I first discovered A Jigsaw of Fire and Stars by Yaba Badoe, I was immediately drawn in to the gorgeous, eye-catching cover. However, having finished the book, I'm really not happy with this book. I'm disappointed in the story, but also appalled by the offensive language. Sante is part of Mama Rose's travelling circus, going from place to place, showing off their talents to make money, and staying off grid. But Sante wasn't always with Mama Rose. Mama Rose found Sante washed up on the shore of a beach by Mama Rose, in a sea-chest full of treasure. She has a reoccurring dream of the events that led to her getting there: on a ship with her family, another ship barging into theirs, gun fire, and the people on board's desperate attempts to save a child before their ship goes down. Sante is full of questions about what happened, who her family are, who she is. And when two people in the audience of one of their circus shows watch Sante intently, she is certain she recognises one of them from her dream. When Mama Rose and her family move on, Sante decides to stay, along with Cobra, to find speak to this man, and ask her questions. But the people this man works for are more dangerous than Sante could ever imagine, and by staying behind, she may get her answers, but she may not be able to ever leave again. A Jigsaw of Fire and Stars is a story of identity and belonging, of family, and what family means, and of people trafficking. 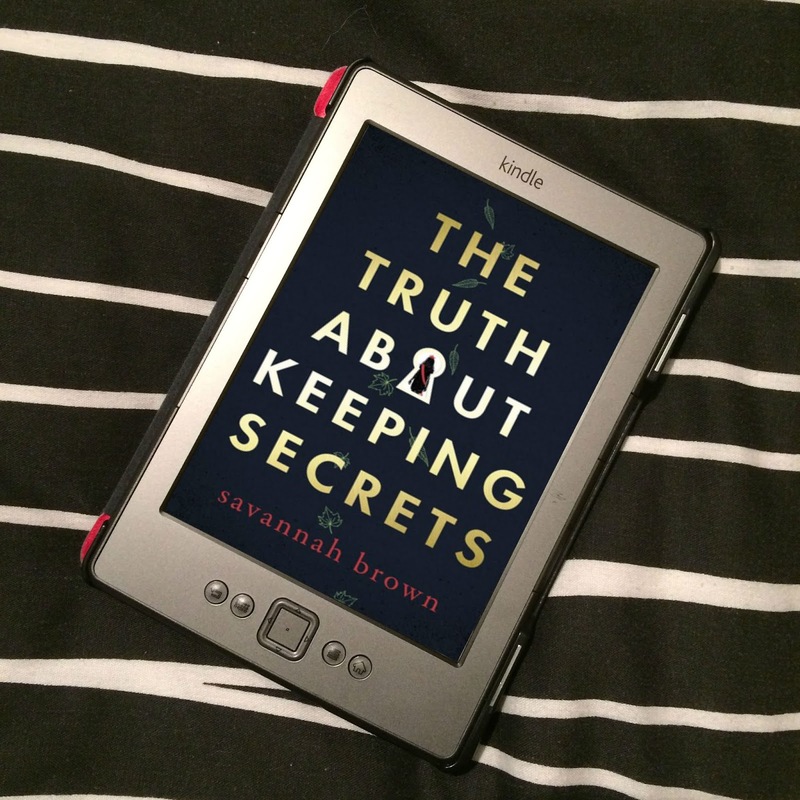 The writing was compelling and beautiful, such wonderful descriptions, and I was gripped to Sante's story as she tried to figure out who she was. But I guess my main problem was I was expecting more. It's a quick read, but the pace felt off to me, and the tension. There are times when Sante is in extreme danger, but I didn't find myself all that worried. Disgusted, appalled, and angry, yes, but not worried. It was too early on in the book to be worried, and when there's so much of a book left to go, it just seems obvious that Sante isn't going to stay stuck or there wouldn't be much of a story. And even when things were terrible, I felt Sante was just too lucky. I don't know if it's very realistic for her to come out mostly unscathed, when others suffered so much. I was also slightly let down by fantastical elements of the story. Sante can communicate with her golden eagle protector, Priss - she talks to Priss like she would anyone else, and Priss seems to understand. But we're told at the beginning of the book that Priss has told Sante about how she found her in the sea-chest and stayed with her, protecting her, and yet we never see Priss talk to Sante. That is never explained. Sante can read minds, but it's more than that, she can read their feelings, their personality, their history, work out who a person is. Pretty handy right? Well, Sante doesn't really do anything with it. She only uses it occasionally, and only to confirm what she already thought about someone. It's not a gift that has much use, or Sante doesn't use it well enough. And the ghosts... well, they're meant to be terrifying, but they never do anything that bad. Not until the climax. And then, I couldn't really tell you what happened. I don't think it was described that well, and there was no real explanation for what I did understand. "This happens." Ok, but how? And what does doing that do? How did that thing happening mean this is the consequence? I would have liked more detail of the climax, and more explanation behind what was happening. There was a fair amount of diversity in the book. Sante is Ghanaian, there is an f/f relationship, and there are two Romany traveller characters among their troupe, who are also both little people. But that's something that really annoyed me the whole way through. The group of travellers Sante lives with are Mama Rose, twins Cat and Cobra, Redwood and Bizzie Lizzie, Mimi and... Midget Man. Seriously, Midget Man. I may have let that slide if it was a stage name for their act, even if it is highly inappropriate and offensive, and that circus "freaks" are just so wrong anyway (though he was more than a "freak", he had an acrobatic clown act with Redwood, Bizzie Lizzie and Mimi). But it's not a stage name. That is what everyone calls him. It doesn't actually come right out and state it, but from descriptions of his height, I think it's safe to assume he has a form of Restricted Growth/Dwarfism. It's so offensive and problematic that this little person is dehumanised by not being called by his proper name. He does have one, we find out later in the book - Elvis - though why it's not used we're not told. There's something about people hiding their identities, which, fine, but Elvis wasn't involved in that, so why not use his real name? It is never explained! 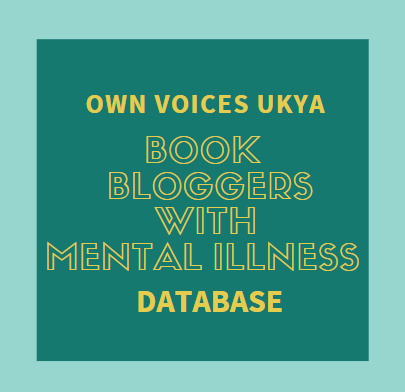 I just feel if a little person was to read this, yes, they may see themselves in a book, but they would see a character who is like them referred to with a derogatory term. How is that going to feel? I hated it every time I read it. And while we're talking about inappropriate language, there were also two uses of "psycho", which isn't ok either. Feeling disappointed with a lot of elements of the books is one thing, that's just down to personal tastes I think. But with Elvis being called derogatory term, I'm just really not happy with this book. Despite being beautifully written and being unable to put it down, I can't with good conscience recommend this book. 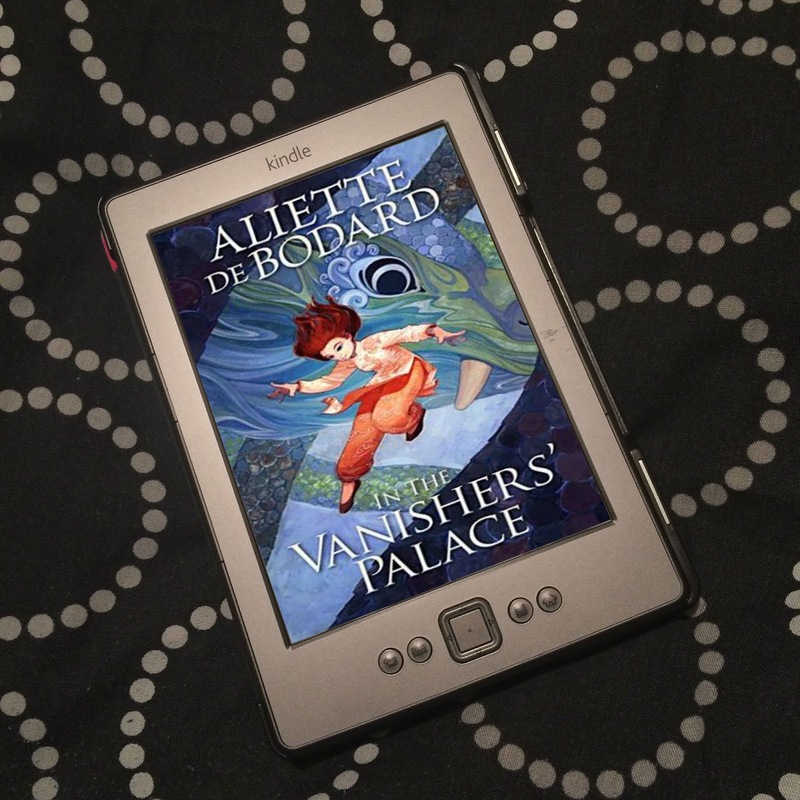 Thank you to Zephyr via NetGalley for the eProof.